According to a recent reports in the media, Marc Elias, who also served as the Clinton campaign lawyer, paid opposition research firm Fusion GPS to produce the dossier which exposed alleged connections between Donald Trump and Russia government. It also contained salacious allegations about Trump’s personal escapades. 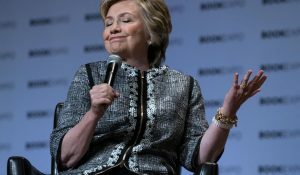 According to reports, the Hillary for America campaign paid for the research but routed the payments through Elias’ law firm Perkins Coie and described the purpose of the money as “legal services” on their FEC disclosures. The DNC and the Clinton campaign reported dozens of payments totaling more that $12 million dollars to Perkins Coie over the course of the campaign.